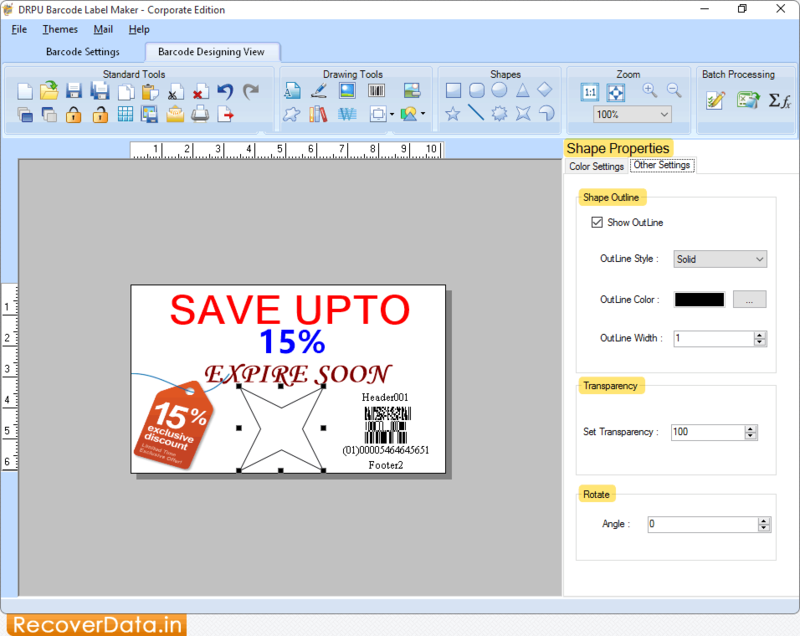 Corporate Barcode Label Maker Software is designed to create barcode labels, tags, stickers etc in linear or 2D standard fonts using different image designing tools including Line, Rectangle, Arc, Text, Picture and many more. Barcode Generator program provides advanced inbuilt printing settings to print multiple barcode labels simultaneously. Using Email setting features, you can send designed barcode images at specific email address. Barcode Creator Software - Corporate Edition allows users to design barcode labels of different dimensions, bar width, density and height. Software provides facility to add generated barcode images to different Windows applications such as Word, Excel, Paint etc. Software creates barcode labels in linear or 2D barcode fonts. Barcode Label Maker designs barcode images using various image designing tools. Provides facility to print designed barcode labels using advanced printing settings. Create barcode list using sequential, random and constant value series generating techniques. Software provides batch processing series feature to create bulk number of barcode labels with different barcode and text value. Advanced Email Setting feature enables users to send designed barcode images at specific email address.